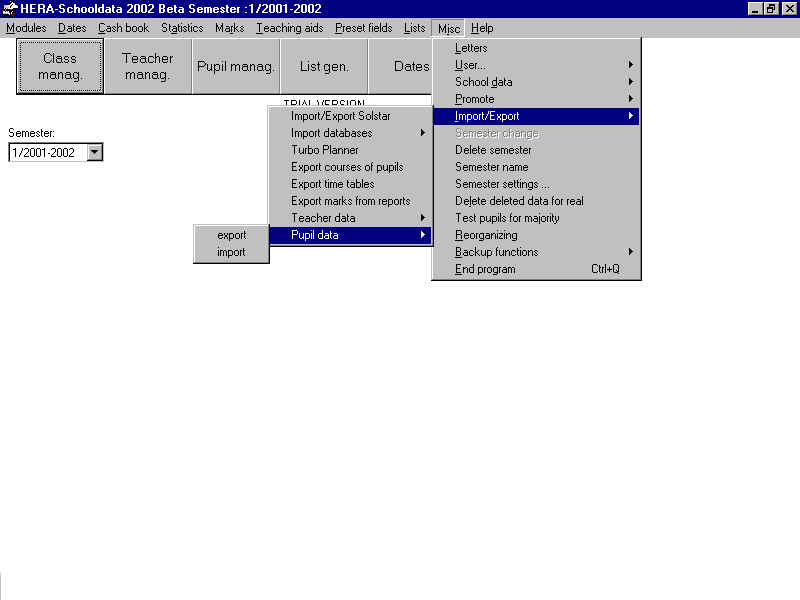 This is the menu for Pupil Data. For a description of the buttons please scroll down. : It will open a window for giving option to Import/Export Solstar(another product of Heneke Software). : It will open a window to export the pupil data. : It will open a window to import the pupil data. : This main menu has options for Backup of data . .